Last month, the WEGMC achieved the major landmark of enrolling the first patients in the West of England region. 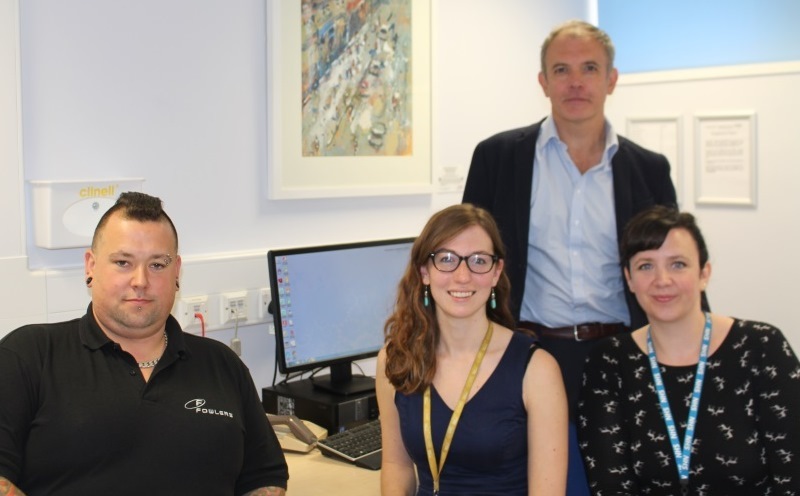 Pictured from left to right: Adrian Shipp, Amanda Pichini, Genetic Counsellor at University Hospitals Bristol NHS Foundation Trust, Dr Andrew Mumford, Consultant Haematologist and Clinical Director of WEGMC and Amy Watford, Genetic Counsellor at University Hospitals Bristol NHS Foundation Trust. The project, a ground-breaking initiative launched by former Prime Minister David Cameron in 2012 and the largest national genome sequencing project of its kind in the world, aims to sequence 100,000 genomes from around 70,000 people with a rare disease, and their families, and from people with cancer. The West of England region was successfully awarded the status of being a national Genomic Medicine Centre at the end of 2015. Clinicians from the hospitals involved will recruit potentially eligible patients. Patients choosing to be involved will then take part in a test which will then be processed in a lab at Southmead Hospital in Bristol, before being sent to a national centre for sequencing. NHS England have established 13 NHS Genomic Medicine Centres (GMCs). For further information on the WEGMC, visit: www.wegmc.org or email the team at UBH-TR.WEGMC@nhs.net.